Freida Baker is the Acting Director of the Child Welfare Policy and Practice Group (CWG) in Montgomery, Alabama. She served CWG as an independent consultant from August, 2017 until March, 2018, when she became Program Coordinator. Her assignment as Acting Director began in January, 2019. Mrs. Baker was previously Deputy Director of Family Services with the Alabama State Department of Human Resources (DHR). She has 36 years of child welfare experience, beginning at DHR as a social worker, then supervisor, then program manager before retiring as Deputy Director. Her areas of expertise include best practices in child safety, permanency, and well-being. She participated closely in the implementation of Alabama’s landmark R.C. Consent Decree and has expertise in systems and change management. She is a certified Federal State Reviewer and has participated in CFSR and QSR reviews nationally. She is also LAMM certified through the National Child Welfare Workforce Institute. She has trained social workers, the judiciary, educators, foster parents, physicians, and other partners across the nation. Mrs. Baker is an adjunct professor for the School of Social Work at the University of Alabama, and has served as adjunct in Sociology in other college settings. In addition, she has served as guest lecturer for graduate and doctoral classes across the country. Mrs. Baker received her BA from Auburn University and her MSW from the University of Alabama. Nina Kynard has been the Business Manager for The Child Welfare Policy and Practice Group since January 2, 2000. She is an ambassador for children here at CWG and in the community. She currently serves on the Board of Directors for Lighthouse Counseling Center, Inc., a nonprofit gap agency that provides many services to the community. She previously worked for the Department of Veterans Affairs. During her career with the VA she worked for the Montgomery Regional Office, Montgomery VA Medical Center, Tuskegee VA Medical Center and the Atlanta VA Medical Center where she retired as the Chief of Medical Care Cost Recovery and Fee Services with 28 years of service. Nina has come full circle in the business of child welfare, as very early in her career she worked for the Montgomery County Department of Pensions & Security (the now Montgomery County Department of Human Resources). 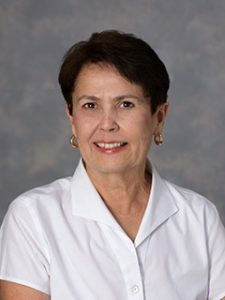 Mary served from the caseworker level with the Florida Department of Children and Families up to the position of Statewide Deputy Director of Family Safety at the time of her retirement. She was the Child Welfare services manager in both rural (four westernmost panhandle Florida counties) and urban (Broward County, Fort Lauderdale) child welfare systems. During her tenure in Fort Lauderdale she transitioned the state-run services to the newly established private provider system. 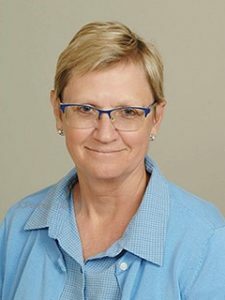 With The Child Welfare Policy and Practice Group, Mary has provided front-line training experience in Family Engagement, Family Team Conferencing, Assessment, Planning and Intervention, and Making Visits Matter in Indiana, Wisconsin, New Jersey, Virginia, Florida, Utah and other states. Training specific to supervising case practice adapted to location was delivered in Washington D.C. and New Jersey. Practice coaching was provided in some of the states listed above as well. In addition, Mary has assisted systems to implement the Quality Services Review, which included providing training and mentoring staff in the states of Utah, Wyoming, Tennessee, Iowa, Indiana, New Jersey, Georgia, Florida, Virginia, Washington D.C. and Pennsylvania. Cornelius R. Bird is a trainer, coach, curriculum developer and quality service reviewer with more than thirty years of experience in providing consultation services to human service organizations. Cornelius has led projects to improve the quality of child welfare and children’s behavioral services in multiple states. Cornelius was a co-curriculum developer and facilitator of the New Jersey DCF Fellows program titled, “Managing by Data to Improve Child and Family Outcomes.” He also served as the Project Director for Western Washington University’s Children and Family Services Training Academy where he supervised new worker training and advanced training programs for child welfare personnel. Additionally, he was a group facilitator at the Domestic Violence Resource Center Men’s Program and is a contributor to the Guidelines for Facilitating Child and Family Team Meetings with Families that have a history of domestic violence. Margaret Bonham has been working in child welfare for over 35 years. 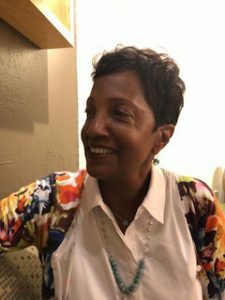 She began her career as a protective services worker in Alabama’s public child welfare system and held a variety of positions during her tenure there including serving as the State’s Child Welfare Director from 1999 until 2005. She was involved in the successful implementation of massive systemic reforms resulting from a class action settlement. 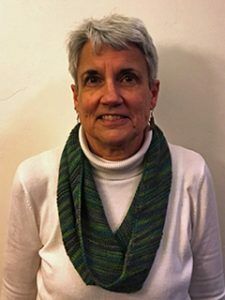 Upon her retirement from the public child welfare program, she became an independent consultant with the Center for Support of Families in 2009 where she supported the development and/or implementation of child welfare practice models in Connecticut, Mississippi, and Michigan. Prior to joining the Child Welfare Policy and Practice Group as a consultant, Mrs. Bonham was involved in conducting functional assessments of children in therapeutic foster care placements in the Alabama system. She is currently serving on the Board of the Alabama Campaign to Prevent Teen Pregnancy and is a past chairperson. Mrs. Bonham is also a current Board Member of the Social Work Society for the University of Alabama. 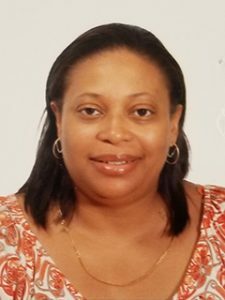 Jennice Floyd has experience in all areas of child welfare, including front line practice, supervision; and directing a county welfare agency. As director she managed all areas of child welfare and led the county′s reform efforts in reaching compliance with Alabama′s R.C. Consent Decree. As a state consultant during the reform effort she helped develop the case practice model, family teaming and quality service review protocol. Since joining CWPPG she has provided technical assistance to child welfare systems throughout the nation. She has developed and provided training; coached supervisors in management practices; coached staff to facilitate Family Team Meetings, and conducted Quality Service Reviews. Gabe Gomez is a therapist and consultant living in Seattle, Washington. He has a Master's degree in Clinical Child and Youth Work, and has worked with children and their birth, foster, and adoptive families for over 38 years. 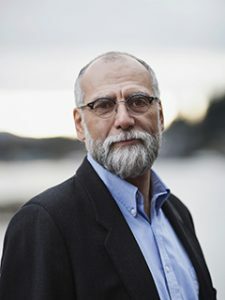 Currently in private practice, he has served as Program Director for a psychiatric child day treatment program, as well as Behavioral Consultant to the Oregon Child Welfare system. He has been a consultant with the Child Welfare Policy and Practice Group since 2002. Over the last 20 years, Gabe has taken a special interest in the growing body of research about brain development, trauma and the impact of that trauma on children and the people who care for them. This information has shaped his direct clinical practice, as well as his work with caregivers and child-caring systems. 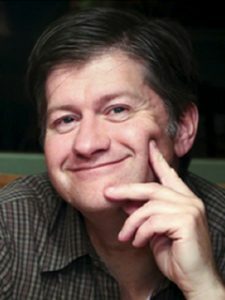 Drawing on his extensive clinical experience and the emerging research in neurobiology, attachment studies and best practice in child welfare, Gabe has trained and coached parents, teachers, and child welfare professionals to use this information in addressing the critical behavioral and emotional challenges their children face while maintaining the nurturing relationships at the heart of strong, healthy families. 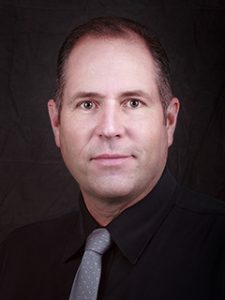 Jeff Harrop graduated in 1994 from Weber State University with a bachelor degree in Sociology (child and family studies) and Anthropology with an overall emphasis in statistics and research. Jeff is licensed a Social Services Worker. Jeff has spent the last 25 years working in the child welfare profession in the State of Utah. Jeff started as a Child Protective Services investigator in 1994 and later working in the areas of Early Intervention, Family Preservation, and Foster Care eventually moving into administrative positions of Supervisor, Child Welfare Administrator, Statewide Practice Improvement Coordinator, and Associate Regional Director. 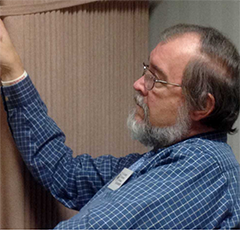 For the past 20 years, Jeff has specialized in the areas of Continuous Quality Improvement and Quality Assurance. During this time Jeff contributed to the development and deployment of the Utah Practice Model philosophy. Jeff is certified in Quality Services (QSR) or Qualitative Case Review (QCR) and has completed reviews in the Child Welfare and Juvenile Justice systems in Utah. Jeff has reviewed and consulted in Oregon, Michigan, Tennessee and Los Angeles. Jeff is currently the Service Review Administrator for the Office of Quality and Design in the State of Utah-Department of Human Services and oversees Quality Services Reviews, Case Process Reviews, Child and Family Services Reviews, Conflict of Interest Investigations, Fatality Reviews and the office of Child Protection Ombudsman. The office of Quality and Design provides comprehensive performance data with trend and strategic analysis for the child welfare system. Beverly Hart has 25 years of experience providing services to children and families in the state of Utah. She graduated from BYU with an MSW in 1993, and began her practice as an outpatient therapist at Wasatch Mental Health. She moved to the Utah Division of Child and Family Services, and honed her skills as a Family Preservation worker, supervisor, administrator, coach, and mentor. 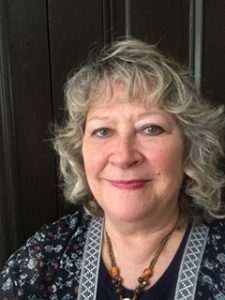 She has experience in Child Protective Services, Home-Based Services, Family Preservation, Kinship and Out of Home care in both rural and urban areas of Utah. She has been a Quality Service Reviewer for over 15 years, and has been instrumental in advocating for positive change in practice strategies and policies. Beverly has extensive knowledge, leadership skills, and experience that she shares with Utah Division of Child and Family Services staff and the children and families the agency serves. June recently retired from The Child Welfare Policy and Practice Group (CWG), where she contributed to the development of training curricula; delivered training to child welfare staff; coached and mentored child welfare staff in facilitation of the teaming process and supervisors in supervisory practices; conducted record reviews for difficult cases; and coached/mentored front line staff and supervisors in the Qualitative Service Review process. While employed with Alabama’s Department of Human Resources, she held various positions from front line caseworker to, at the time of her retirement, program management of the Department’s Office of Conversion and Compliance which had responsibility for implementation of various components of the R.C. vs. Hornsby Consent Decree. This included the System of Care field support, resource development, policy, training and contracting. She earned a BS in Social Science from Troy State University and an MSW from the University of Alabama School Of Social Work. Gil has extensive experience in direct clinical practice with emotionally disturbed individuals and adults with Substance Abuse Disorder. In addition, he has a substantial history as an administrator and researcher with various Social Service and Mental Health agencies, both public and private. His work history includes serving as Deputy Commissioner of Alabama′s Department of Human Resources for 13 years, during which time he worked closely with legislators and community leaders. 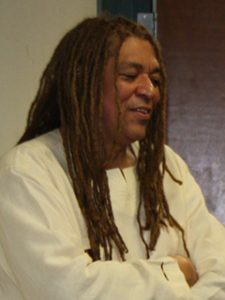 Gil′s extended history as a private, independent consultant with numerous child welfare and clinical practice agencies spans more than 30 years. In his association with The Child Welfare Policy and Practice Group, he has coached and mentored frontline staff, supervisors and administrators in the Qualitative Services Review in numerous states, including Utah, Florida, Virginia, Alabama, Missouri and Georgia. 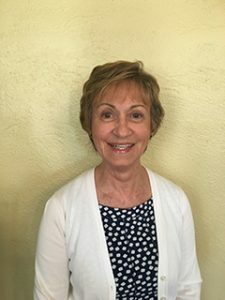 Narell has forty years of experience working with children and adults in both the private and public human services field which includes the areas of mental health, developmental disabilities, special education, and child welfare. 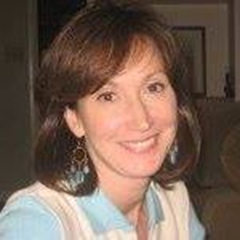 Her work includes consulting, coaching, and supervising case managers/caseworkers as they examine the process for strengths-based needs assessments, planning, and individualized service delivery for children, as well as conducting training for staff on wrap-around components. She has participated in several thousand record reviews, interviews with families, children, and providers, as well as service planning in a variety of states/cities including North Carolina, Missouri, Florida, Alabama, New York, Arizona, Pittsburgh, PA and Chicago, IL. She has worked extensively within North Carolina′s Willie M. Lawsuit as well as Alabama′s R.C. lawsuit and Arizona′s J.K. lawsuit. Scott Langford has been a consultant with the Child Welfare Group since 2000 following employment with the Division of Child and Family Services in Utah during the critical system reformation in the 1990’s. He spent significant time with CWG developing the qualitative review protocol and feels that some of his most important education came at the capable hands of senior CWG members who were patient with his vocal participation in the reform process While remaining very active in child welfare in Utah, Scott has spent the last 18 years participating in qualitative reviews in several states and enjoys watching system improvement that has a tremendous, positive impact in the lives of families. He currently utilizes his engagement, teaming, planning and implementation skills in healthcare as the administrator of two hospitals in Southern Utah. He also serves as Clinical Director of a Residential Substance Abuse Treatment program and serves on various boards including Get Healthy Utah. Scott received his Bachelor of Arts in Psychology and Masters of Social Work from the University of Utah followed by a Masters of Health Administration from Ohio University. He lives in Beaver, Utah with his wife Kristy with whom he raised four wonderful children. He enjoys the outdoors with cycling and fishing occupying his limited free time. Brad has spent nineteen years (ten years as director) involved in quality assurance activities for the Office of Services Review (OSR) in the Utah Department of Human Services. This office has the responsibility of overseeing the Qualitative Services Review (QSR) for the Utah Division of Child and Family Services. In addition to the QSR he helped develop a Case Process Review, a process that looks at case worker practice as it relates to statute and policy. He also assisted in helping the State of Utah end its David C. class action lawsuit in 2008. Brad and his team have served as Ad Hoc consultants, in supporting the work of the Child Welfare Group, for many states and jurisdictions over the years in helping them develop their own Qualitative Services Review. In addition, he has consulted with the Los Angeles County Child Welfare system as well as being a reviewer and mentor in Utah, Los Angeles, Wisconsin, Virginia and New Jersey. Lu has spent her entire professional career working with children and families. She began her journey by teaching in the Montgomery (AL) Public School system. During that time, she also supervised special assistants for children diagnosed with ADHD. 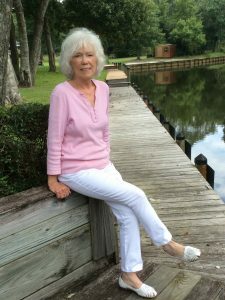 Lu then joined the Alabama Department of Human Resources and worked as a Child Development Consultant in the state office, planning and developing community-based Early Childhood Education Centers in the state. After completing the MSSW, Lu worked in the Human Services systems in Texas and Alabama as a line worker and supervisor in Family Services at the county level. She later served as Child Welfare Training Manager at the state level during the Alabama Child Welfare Reform. She was manager of the Lee County, AL Child Welfare program during their successful System of Care Reform. While in Lee County, Lu represented DHR and served as Co-Chair of the Lee County Multi-Needs committee, partnering with leaders in the Education, Juvenile Justice, and Mental Health systems to meet the needs of children and families receiving services from multiple systems. She also has experience working with teen girls committed to the Alabama Department of Youth Services (Juvenile Justice). Since joining CWG in 2004, Lu has provided consultation in more than 20 states, training and coaching staff and supervisors in facilitating and coaching Family Team Meetings, conducting evaluative reviews of state child welfare practices, and mentoring reviewers in conducting Quality Service Reviews. Florence Racine has been an advocate for children and their families involved with public systems for over 25 years. Her career began in community based mental health, working with chronically mentally ill adults and seriously emotionally disturbed children. Her work in child welfare has ranged from direct practice and supervision in CPS investigations and permanency, to case practice model implementation and continuous quality improvement. Florence is the Assistant Director of the State of New Jersey’s Office of Quality, responsible for staff who plan, conduct, analyze, and report on a range of qualitative reviews across the state. Florence also works as an independent consultant who provides consultation to multiple child welfare systems on strategic planning, training, coaching and mentoring staff for practice development. She has coached and mentored frontline staff, supervisors and administrators in the Quality Service Review in numerous states, including Washington DC, Utah, Michigan, Illinois, and Maryland. 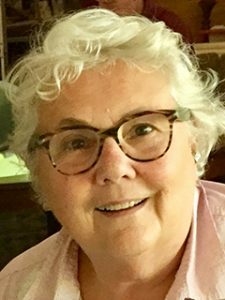 Sue Steib has over 45 years of child welfare experience including direct practice, agency administration, research, and consultation. Prior to joining the Child Welfare Policy and Practice Group as an independent consultant in May 2016, she was a Sr. Director of Strategic Consulting at Casey Family Programs, a position she held for eight years. During that time, she led CFP’s work in two states and served as part of a consulting team providing support to child welfare systems in 15 states. 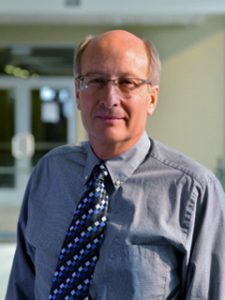 From 2001 to 2008, Steib was Director of the Research to Practice Initiative at the Child Welfare League of America (CWLA), leading work to synthesize current research in child welfare and related fields while making it accessible to agency leaders and direct practitioners through papers, workshops, and direct consultation. 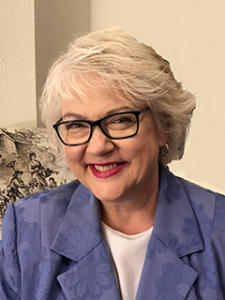 Steib came to CWLA following a 31-year career in Louisiana’s child welfare system where she served in positions ranging from caseworker to supervisor, ultimately serving as the statewide Child Welfare Program Director. 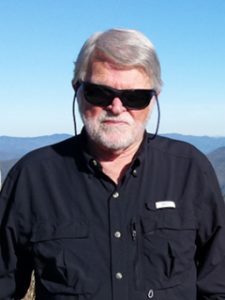 George Taylor is one of the founding members of CWG and has been involved in the majority of the group’s projects in more than ten states and major jurisdictions. He has been principally involved in the assessment of systems intended to provide child welfare or mental health services to children, youth, and families; the development of strategic plans; training direct practice and assessment skills; and in the analysis of formal and informal evaluation results. Examples of current and recent work include supporting the monitoring of a statewide child welfare reform in Utah, consulting with the Center for Community Partnerships in Child Welfare in the national rollout of the community partnership initiative supported by the Annie E. Casey Foundation and the Edna McConnell Clark Foundation, as part of an external evaluation of privatized child welfare services in Broward County, Florida, and providing data consultation and analytic support for the Katie A. Advisory Panel, which advises the Los Angeles County Department of Children and Family Services (DCFS) on the implementation of a settlement agreement designed to improve outcomes for children and youth with mental health needs served by the Los Angeles County DCFS. Taylor retired from the University of Alabama’s multi-service training and treatment center that addresses training, research, and services for children and adolescents with complex mental health needs, and for their families. In Alabama, Taylor was active in the statewide provider organization and was its president during the critical years of the Alabama child welfare reform. Janell was born January 20, 1961 and passed away March 14, 2019. Janell had over 30 years experience in social work practice. She worked as a child welfare worker, clinician and manager. 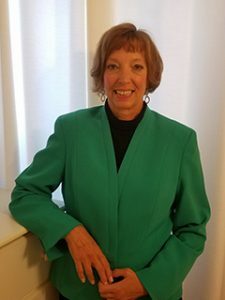 She was the Family Team Services Liaison for central Iowa, serving as a Master Trainer and Master Coach in implementation of Family Team Meetings for the state of Iowa. She became a consultant for The Child Welfare Policy and Practice Group in 2007, providing training, coaching and consultation in the areas of Family Engagement, Family Team Conferencing, Parent/Child Visitation and Assessment Planning and Intervention. Throughout her career, Janell remained interested in improving practice with chronically mentally ill parents who had experienced complex trauma as well as addressing compassion fatigue in the helping fields. She will be missed by family, friends and colleagues across the country. Rest in Peace Janell.